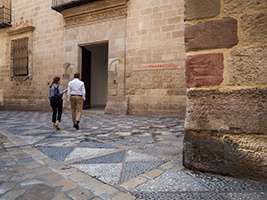 Descripción ampliada Admire some of Picasso’s greatest works in the city where it all began with this visit to the Museo Picasso Malaga. Located in the stunning 16th century Buenavista Palace, the museum is home to a collection of 233 pieces by the great master himself with a further 43 on loan from his grandson’s foundation. 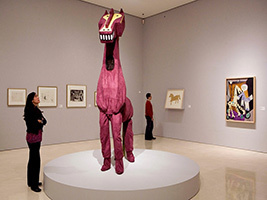 There are works spanning eight decades of the artist’s highly prolific and successful career. 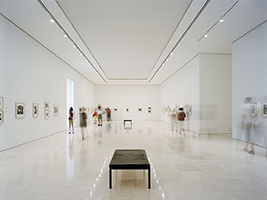 Ever since it opened just over a decade ago, the Museo Picasso Malaga has become a fixture on the Costa del Sol cultural scene. The museum is just a few hundred metres from where Picasso was born in 1881 and was a long overdue tribute to Malaga’s greatest son. Come and discover works from when he was a precocious 10-year-old unknown in 1891 to 1972, when he had been long established as the most famous painter in the world. 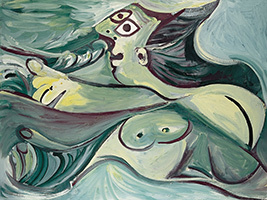 The collection covers Picasso’s groundbreaking innovations as well as featuring the wide range of styles, materials and techniques he experimented with. Discover pieces from his schoolboy days to his take on the great masters and from the vanguardist and dynamic Cubist movement that he spearheaded to his innovative and colourful ceramics. Among the many works in the museum are the surprisingly conventional portrait of his first wife, Russian ballet dancer Olga Khokhlova, the iconic Acrobat from his Rose Period and the challenging Woman with Raised Arms, where his muse was his new lover, French photographer Dora Maar. There are other less-known pieces such as Mosketeer with Sword, one of his final works. Languages: Audio guide available in English and Spanish.